If you are employed by the federal government and nearing retirement, you may soon discover that your retirement benefits through the Federal Employees Retirement System (FERS), although significant, just aren’t enough to support your current standard of living. Or, like many retirees, you may decide you’re not quite ready to leave the world of work entirely. Many retirees find alternative sources of income to supplement their retirement earnings or just to make some extra money in a different field of work than they’ve been accustomed to. Fortunately, there are several ways that retired federal government employees can earn income during retirement. As a retiree, you have years of experience and wisdom that younger people haven’t earned yet. Why not draw on your wealth of experience and write for others who could learn from you? 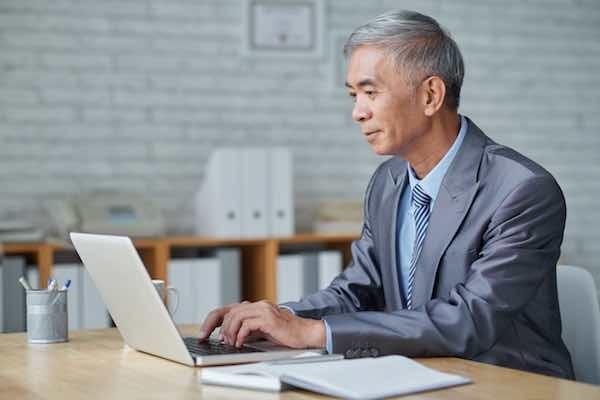 Not only should you be an expert in the field from which you retired, but maybe you’ve had a hobby for the last few decades that you could have a conversation with online readers about. Perhaps you’re a gardener. Start a blog about gardening. Maybe you’ve developed some ideas on how government employees can best position themselves for success. Somebody is looking for the wisdom you have to offer. Writing online can take many forms. You can always start a blog specializing in your own personal writing, or you may want to sign up for some of the websites online where clients hire writers to write resumes, articles, blog posts, ebooks, and advertising. Many dog owners would love to be able to pay someone available during the day to walk their dog so they won’t have to at the end of a long work day. Dog walkers can negotiate their rate per hour with can easily earn a significant supplemental income from walking multiple dogs per day. In addition to earning extra income, the time outside being active will also contribute your overall health. Even if you’re not a retired school teacher, parents are always looking for people to tutor their children in a variety of subjects. Maybe one of your passions has been math. You could help students understand what their teacher hasn’t been able to in a large group context. Even if you don’t feel qualified enough to be a tutor, some parents are just looking for a tutor to support their child and help them work through their homework. You can also take some of your free time to get well-acquainted with a subject to a degree where you’d be able to help others. With ride-sharing services like Uber and Lyft, many people, including retirees, are making an extra income by driving people to places like the airport or the grocery store. There’s no reason your vehicle should have to sit in the garage after retirement when you could be letting it make money for you. If you don’t want to do the driving yourself, you can even consider renting your car out. Speaking of renting, retirement is a great time to fix up any old rooms you have in your home and rent them out. Maybe you could turn your home into a lovely bed and breakfast. You can use a service like Airbnb to facilitate the actual renter agreement. This is an easy way to make money without having to leave your home. If you enjoy talking to people over the phone, you might consider getting a job handling customer service calls. Many companies hire customer service representatives to work from the comfort of their own homes. Several of these companies allow their representatives to set their own hours, which gives you the flexibility to do all the things you’ve wanted to do with your retirement. Like many people, you’ve likely had a side passion you’ve always wanted to pursue but never have because it was more practical to devote your time and attention to your full-time job. Now that you’re retired, it’s as good a time as any to follow your dreams. Maybe your hobby has been making fishing lures or gardening. Or fixing things around the house. Whatever it is, there’s probably a market for it – especially online. Just create your own website and you’ll be ready to go. Being retired doesn’t mean you have to stop making money. Even if your retirement benefits end up being everything you’ve hoped for, you’ll still have a lot more time on your hands to do something you love. And you might just discover that something you love is a great way to make money. « Are Apparent Factional Battles at AFGE Challenging Union President?